Janssonius, J. - Normandia Ducatus. Normandia Ducatus. - Janssonius, J.
Map maker : Janssonius, J.. Size : 14.8 x 20.2 inches. / 37.7 x 51.3 cm. 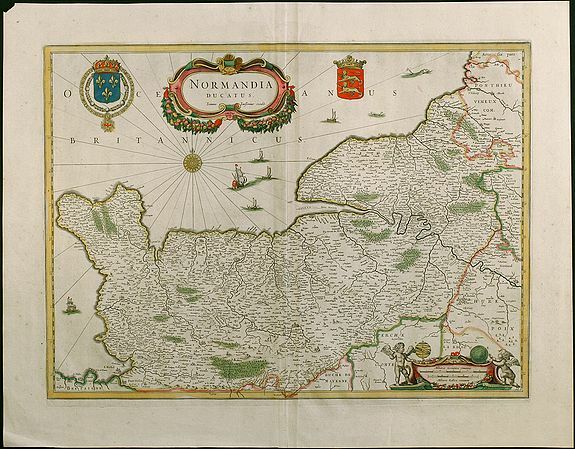 Description :Very attractive map of the Normandy in France with the Channel to UK. Various ships and coats of arms are shown. Condition : Small piece of upper right corner cut, excellent condition.